Yesterday we finally got some snow. Many thanks for all your views, comments and favs. Always much appreciated. 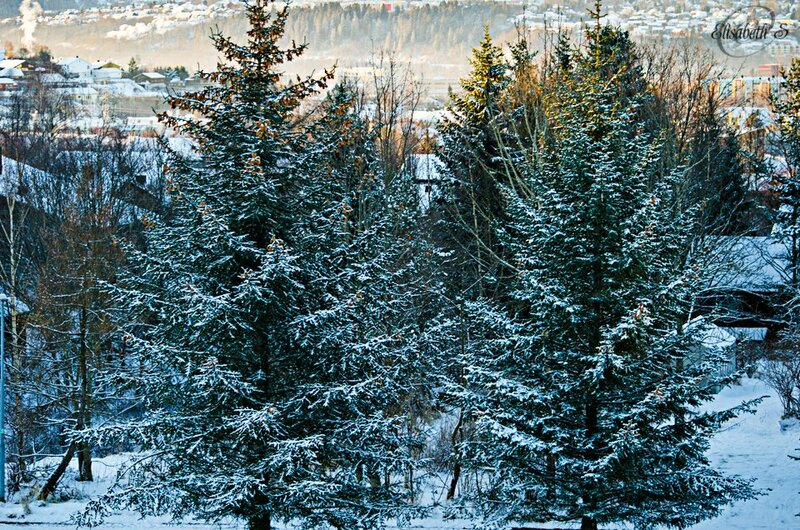 Those trees are just the right ones to photograph with snow! What a lovely place to live! Thank you for sharing your snow! What a beautiful view to share - nice lighting and wonderful snow. Lucky you, Elisabeth! How pretty the scene looks with this beautiful coating of snow. Enjoy! A wonderful view of the snow in the trees and the sun on the distant landscape A lovely shot Elisabeth ! This is absollutely beyond beautiful....... Wow! Stunning picture and perspective. Congratulations on making the Trending Page. Well deserved. Classic image of a Northern winter scene. Such a lovely thing to wake up to. Fav! It looks like a postcard! Really beautiful! I love the touch of light at the top.